Our SDS Volunteers are people who have been through the self directed support assessment and are in receipt of services or are a family member/carer who has supported someone through the assessment. Our Volunteers share their stories about applying for SDS, choosing outcomes, what went well or didn't go so well, how it is different from the previous model of support, and how self directed support has benefited them. 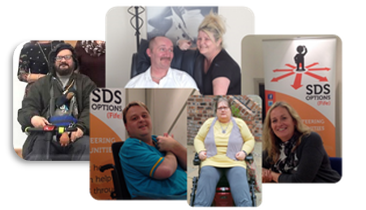 Find out how people have used self directed support and their experiences of going through their SDS journey. Do you have a Self-Directed Support story you would like to share with us? Your lived experience could help others who are about to start their SDS Journey! Want to become a Volunteer? Fill in the form below for more details!